I made myself a new pair of fall gloves. 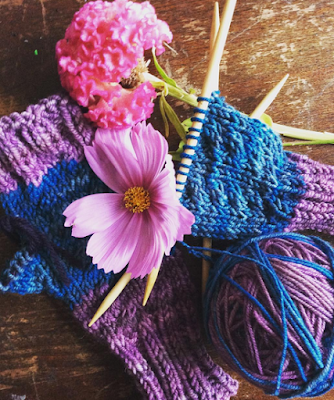 I love knitting gloves, if you've followed my knitting adventures for awhile, I used to exclusively knit gloves. After gloves, I went on this boot cuff crochet splurge. Now I seem to want to knit sweaters. At least that is how I feel! But it was nice to knit something simple for once and "return to my roots". 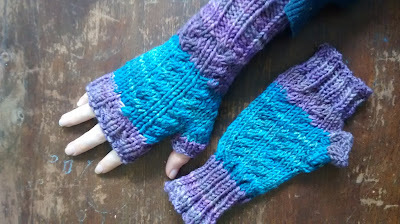 The yarn I used to make these gloves is hand spun by Wool and Wheel. I used my own free basic gloves pattern, only adding a slight twist to the front. I love them! They are very snug and warm. What are you making lately?